Going through my pile of photographic accessories in the week end, at the corner of my old Zero Halliburton aluminum case lie a inconspicuous, tiny black pouch. 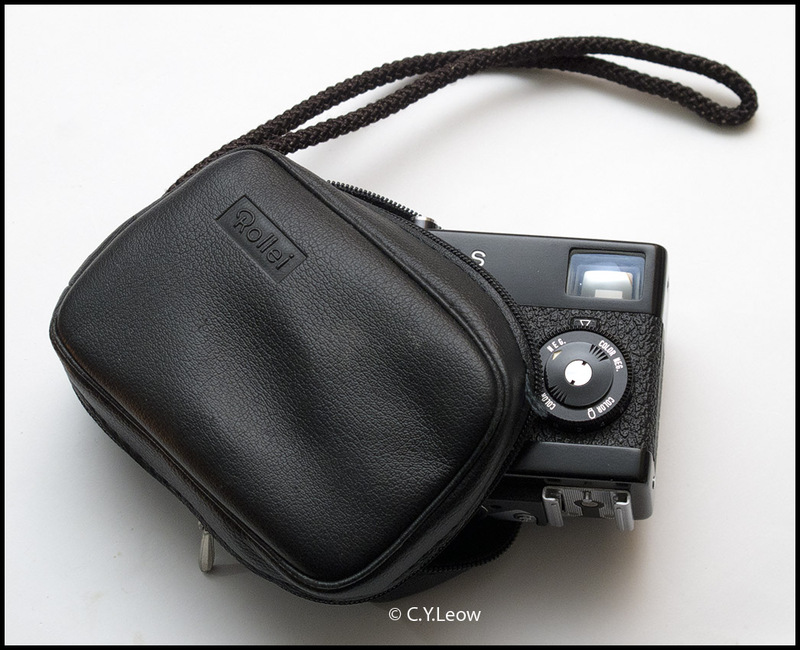 Inside the pouch is a super compact 35 mm FULL FRAME point and shoot camera I bought in 1975! A little gem I just about forgotten! The tiny "Father of Point & Shoot", my Rollie 35S was hibernating since 1988 but accompanying our stuff from Penang to Wellington; then to Singapore, Kuala Lumpur and back again to Wellington! Google inform me through "The Rollie 35 Story" how big deal this little camera is! Wow! It is only now I realise even QE2 have one (or may be, a few)! Now I remember my old boss, the famous Penang lawyer Lim Kean Siew had a gold plated model that he gave to his wife. A good condition golden model can fetch between €1,300 - €2,000 at auction! Even by today's standard, this father of point & shoot is small! 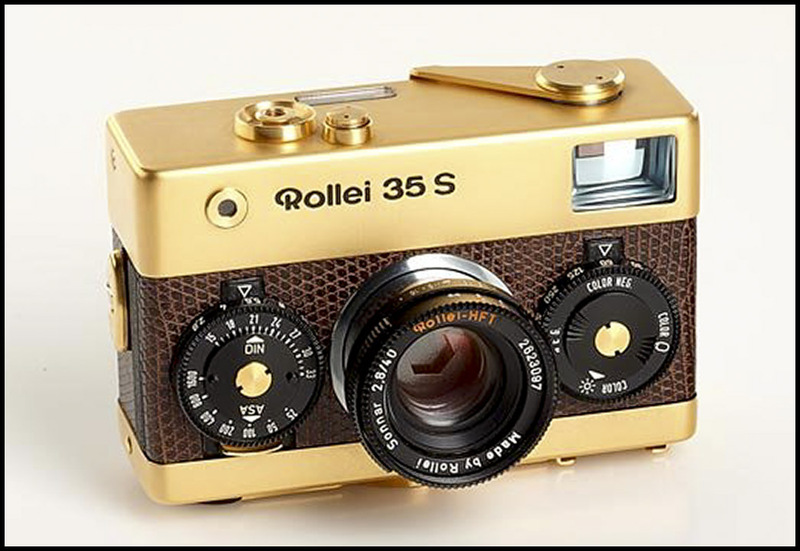 The Rollei 35 is a 35mm miniature viewfinder camera built by Rollei. 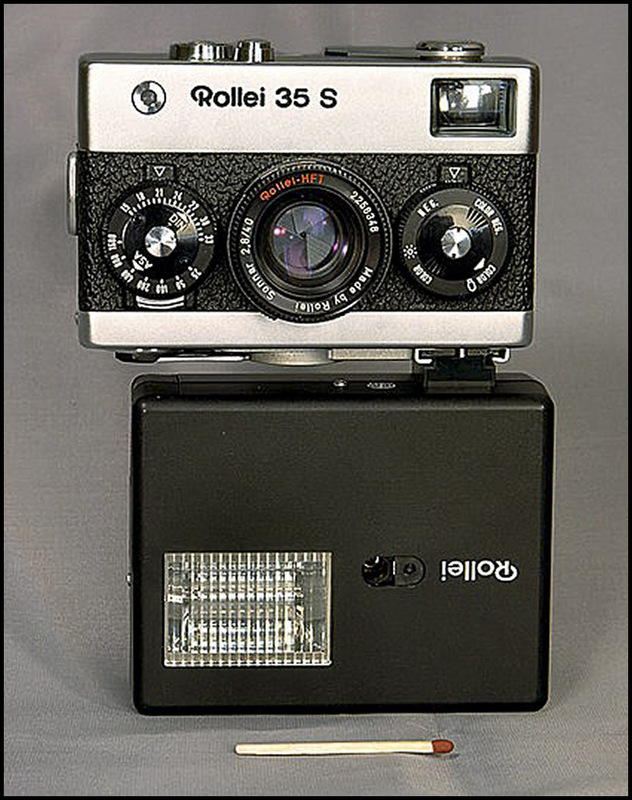 The original Rollei 35, when introduced at Photokina in 1966, was the smallest existing 135 film camera. 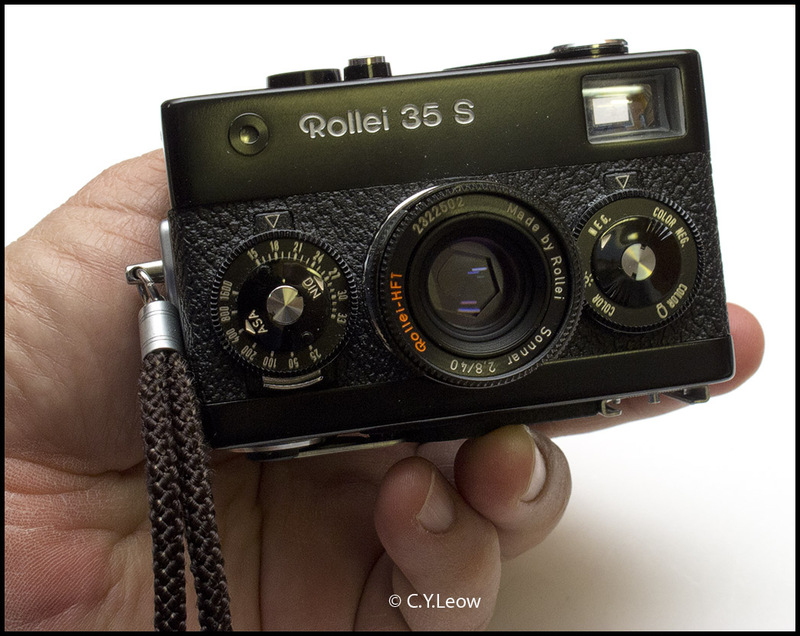 Still today, the Rollei 35 series remain the second smallest 35 mm camera after the Minox 35. 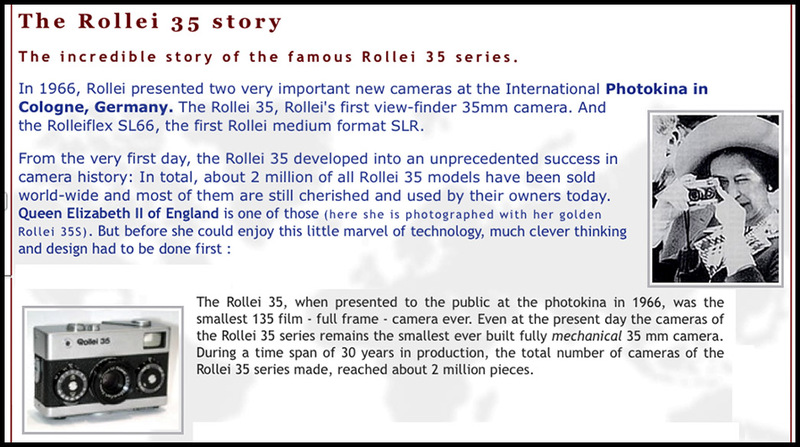 In 30 years, about 2 million Rollei 35 series cameras were manufactured. Small Wonder... how small is small? I put my Rollie 35S beside a roll of 35 mm film to give you some idea of its diminutive size. Yes, that is the tiny "skylight" 1A filter for the 40/2.8 lens. 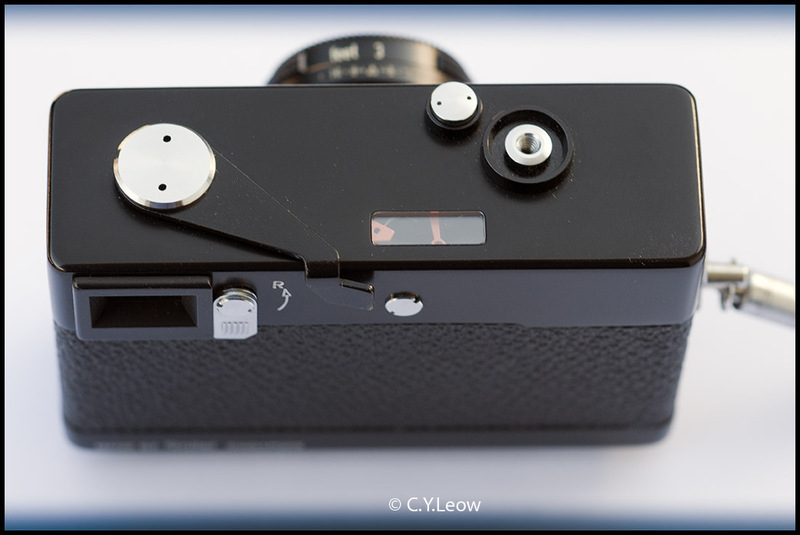 The lens unlock button is on top of the shutter release. Lower down is the match needle light meter window. On the rear, beside the finder window is the film rewind catch. On the bottom of this small wonder, from left; is the flash hot shoe! Rollie 35 series is the only camera (I think) that take a flash underneath! Next to the hot shoe is the release catch for the camera back (to load film), the tripod socket with the film counter and the film rewind crank. 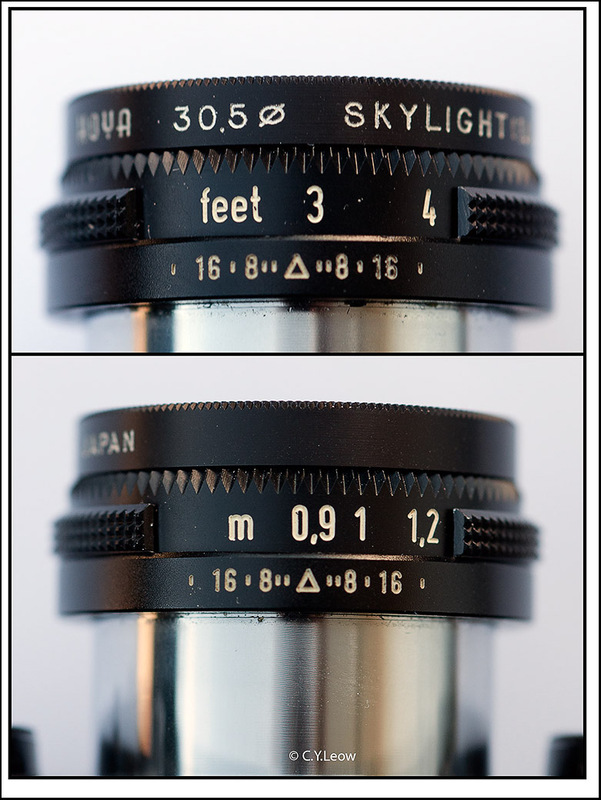 The lens is encased in a stainless steel sliding tube, the whole lens unit can be push back into the body for keeping. 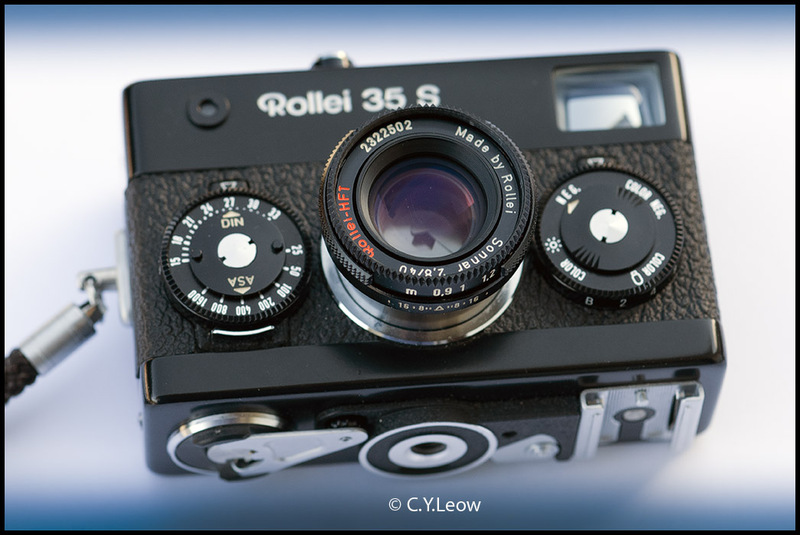 Due to its large success, as early as the end of 1967 a luxury and a beginners variant of the Rollei 35 were planned. 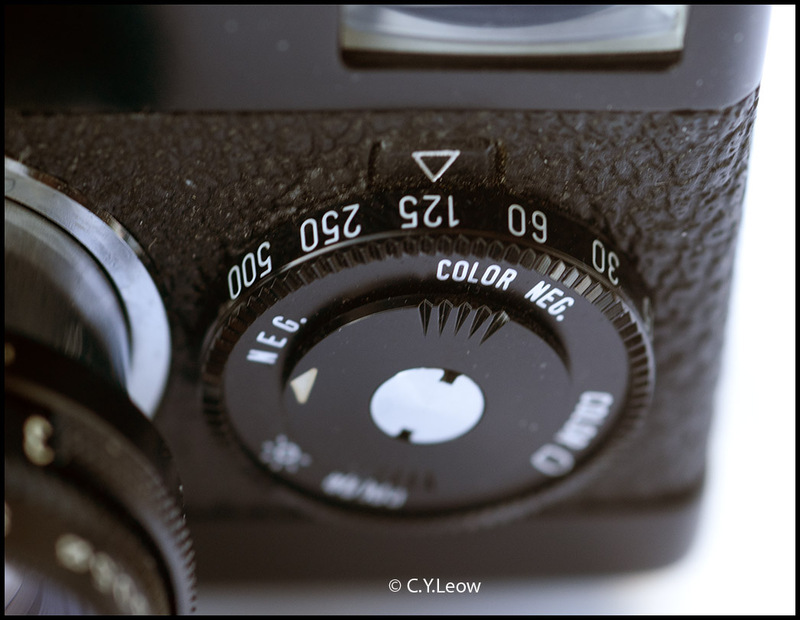 However, because of the production shift to Singapore, it was not until 1971 that the computation of a five-elements lens was assigned to Zeiss. 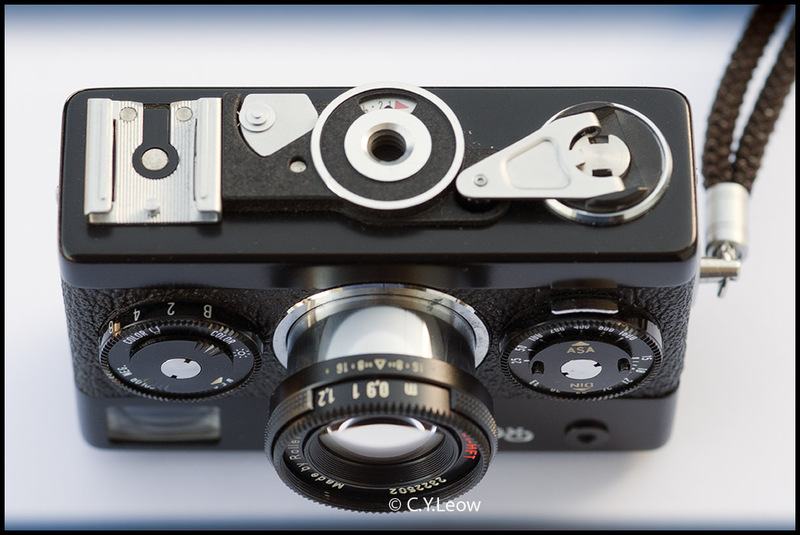 This Sonnar f 2.8 / 40 mm lens was to be fitted with a front lens focusing control, like the Tessar, providing a similar mounting in the sliding tube. Only the two front lenses were to move when focusing. But, when finished, the lens did not focus sharply enough at close distances, and mass production had to be delayed by a whole year. 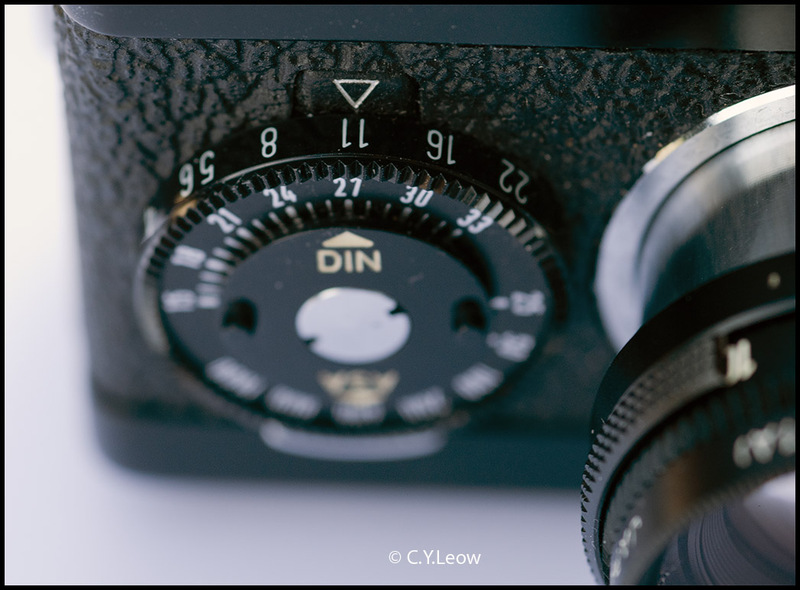 The project was stopped and Zeiss designed a new lens with focusing control by moving the whole lens. 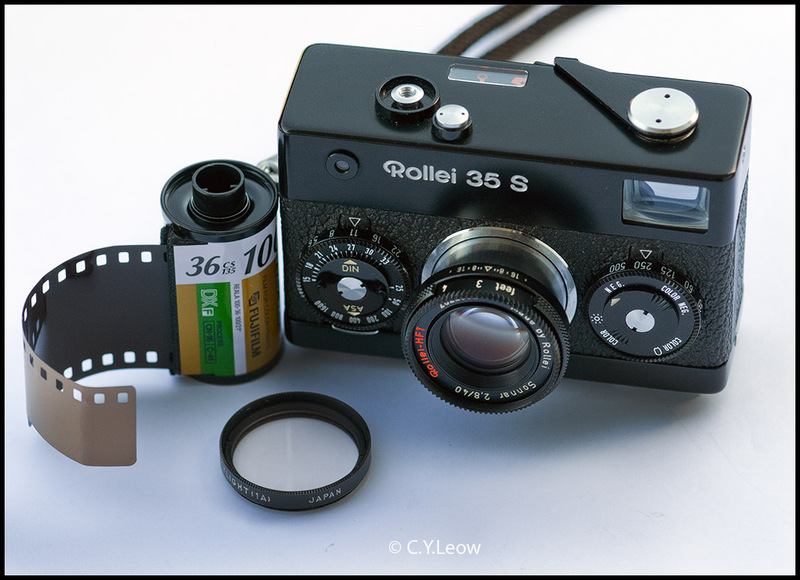 Rollei's chief of development, Richard Weiß, concluded: We've got into a precarious loss-making situation because of this. The developers have learned that, in the future, they must examine lenses, even if made by Carl Zeiss, with more scepticism. The distant scales on top (in feet) and bottom (in meter) of the lens. How do you focus the lens? What auto-focus? Remember, this was 1970! 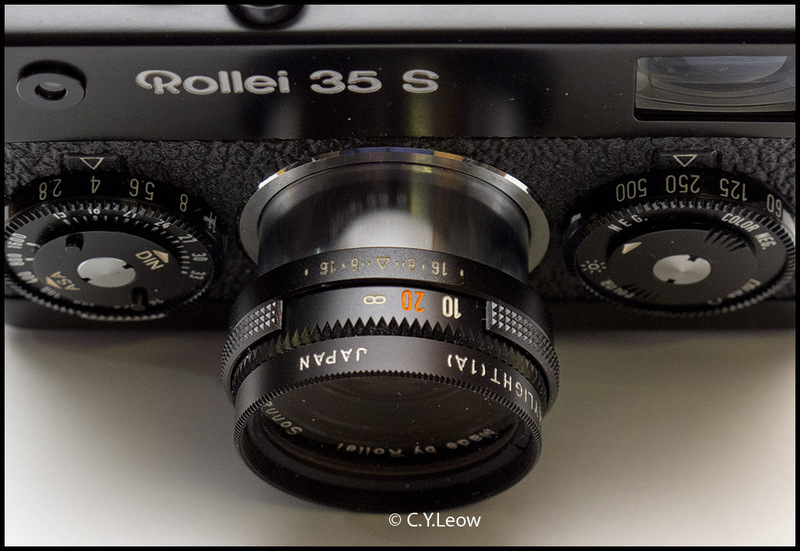 Due to it's compactness, Rollei was not able to put a focusing range-finder in the camera. 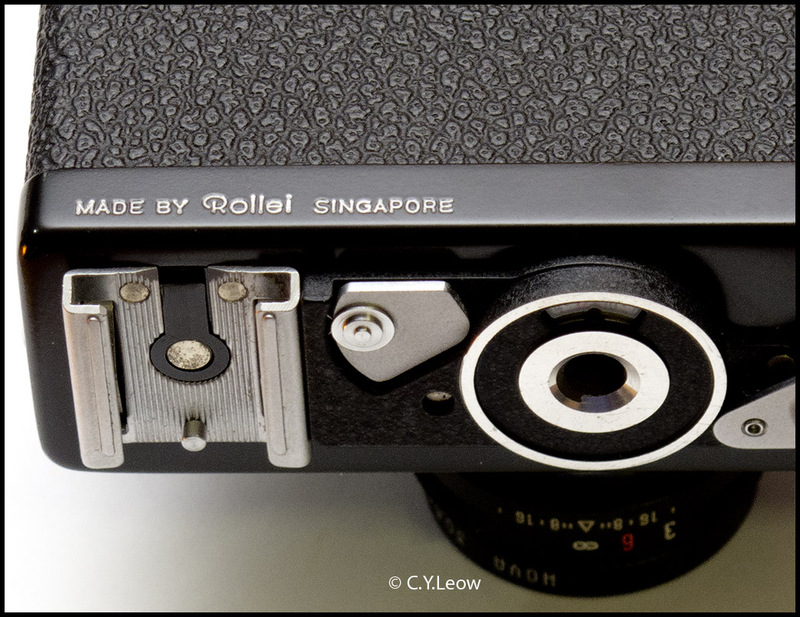 NOT made in China ;) Production of Rollei cameras were shifted to Singapore in the 70s. The aperture (f-stop) setting dial on the right front (pointing at your subject) of the camera. The shutter speed dial on the left of the camera. Have I taken some pictures with this long lost gem yet? Well, I had the camera clicking blank on the whole range of shutter speeds and it "sound" fine! Object of beauty! But can it still take beautiful pictures?